Barb Slone | Greene County News Youth took a chance to catch next year’s Greene County Fair project during the Kiddie Calf and Calf scrambles. The younger kids have a chance a calf in the Kiddie Calf Scramble. They have to get the sticker off a calf and get to the center ring. Wes Wickline catches his calf. 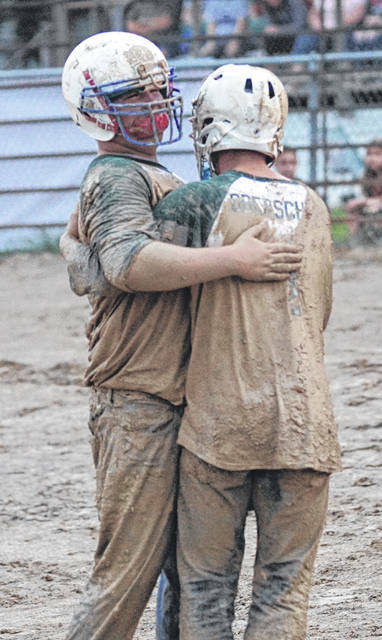 Tyler Morris and Marshall Oberschlake hug after the big competition. Michelle Casey was the only girl to try to try for a calf this year. 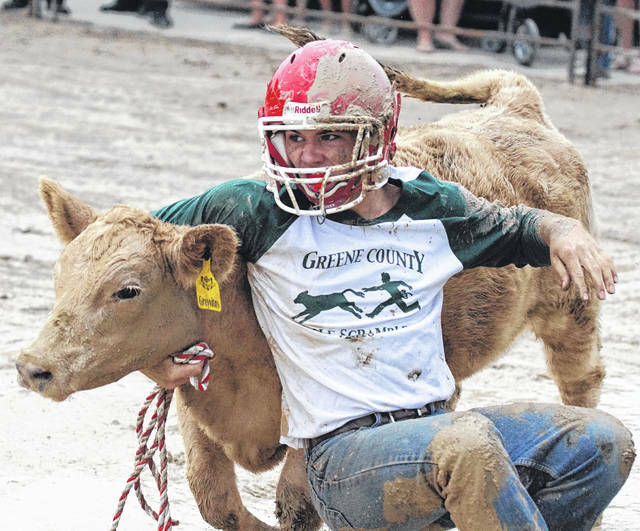 Youth took a chance to catch next year’s Greene County Fair project during the Kiddie Calf and Calf scrambles. The younger kids have a chance a calf in the Kiddie Calf Scramble. They have to get the sticker off a calf and get to the center ring. 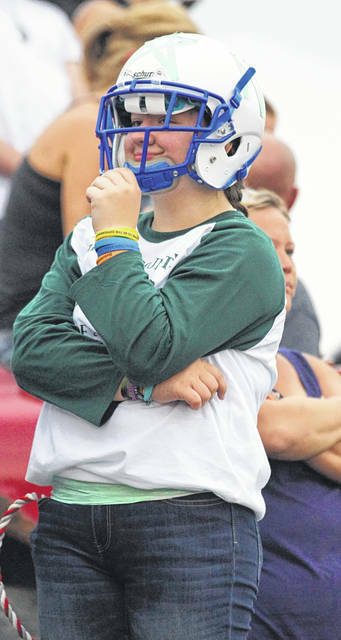 https://www.beavercreeknewscurrent.com/wp-content/uploads/sites/49/2018/08/web1_Kiddie03.jpgBarb Slone | Greene County News Youth took a chance to catch next year’s Greene County Fair project during the Kiddie Calf and Calf scrambles. The younger kids have a chance a calf in the Kiddie Calf Scramble. They have to get the sticker off a calf and get to the center ring. https://www.beavercreeknewscurrent.com/wp-content/uploads/sites/49/2018/08/web1_scramble01.jpgWes Wickline catches his calf. https://www.beavercreeknewscurrent.com/wp-content/uploads/sites/49/2018/08/web1_scramble03.jpgTyler Morris and Marshall Oberschlake hug after the big competition. 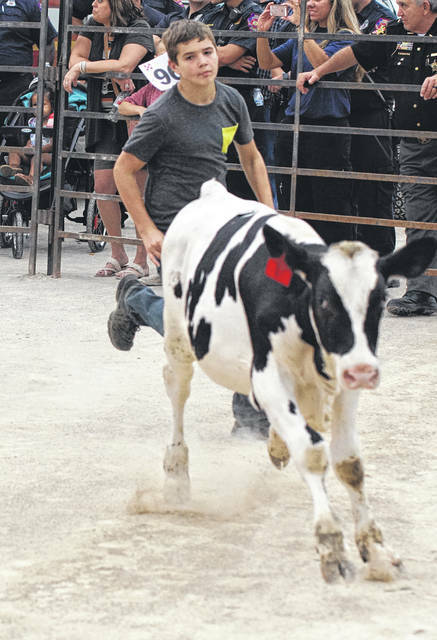 https://www.beavercreeknewscurrent.com/wp-content/uploads/sites/49/2018/08/web1_scramble04.jpgMichelle Casey was the only girl to try to try for a calf this year.